With new, special diets popping up every day to control what you eat and when you eat it, the health industry is brimming with all sorts of products and methods for losing weight. One of the most important things to remember as you try to be your best self though, is that your body is 100% equipped with all the things you need to drop those undesired pounds. Eating healthy feels good for you because it’s what your body naturally needs. Maintaining your organic weapons against weight gain is a crucial part of staying healthy and living a longer, better life. Take your gallbladder, for example. This small organ stores bile from your liver and releases it into your small intestine after you’ve eaten in order to emulsify lipids (i.e. break down fats) and ease the digestion process. Bile is a very necessary aspect of staying healthy, because without that ability to deconstruct bad fats, your body ultimately absorbs them. Therefore, it’s very important to keep your gallbladder (and your liver) healthy! The best wa​y to do this is to exercise regularly, and monitor your diet; consume less high-cholesterol foods, and more fresh foods that are high in fiber like: broccoli, leafy greens, apples, asparagus, berries, and legumes, just to name a few. When you don’t maintain your liver and gallbladder health, you tend to get gallstones. And even if you’ve had your gallbladder removed, this is still the case! Gallstones are crystalized chunks of bile that can range in size from anywhere between a grain of sand to a golf ball. 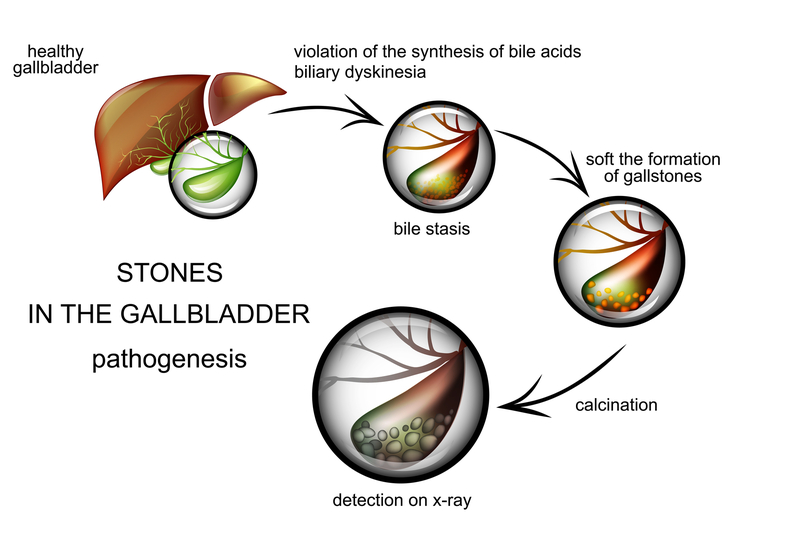 Roughly 80% of gallstones are made of cholesterol that was not broken down by bile, according to Harvard Health Publications. When they build up, they can block the bile duct between the liver/gallbladder and the rest of your digestive tract which can lead to severe pain, and has also been connected to several negative health conditions, like acid reflux or lung and kidney problems. If you are concerned about gallstones, there are several different options for you to explore. Watching what you eat and exercising are preventative actions that you can always take. It’s never too late to start caring for yourself! Perform a gallbladder/liver flush. This can help you get any potential gallstones out of your system. If you are interested, feel free to check out these instructions, written by Super Good Stuff’s founder, Keith Morey. Staying healthy and making sure your body has what it needs is the best way to take care of yourself. If you have any questions, or want to talk someone about how to improve your lifestyle, contact us here or call (949)651-6355.